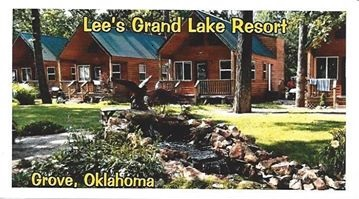 Lee's Grand Lake Resort is often referred to as "The Hidden Gem of Grand Lake Oklahoma". 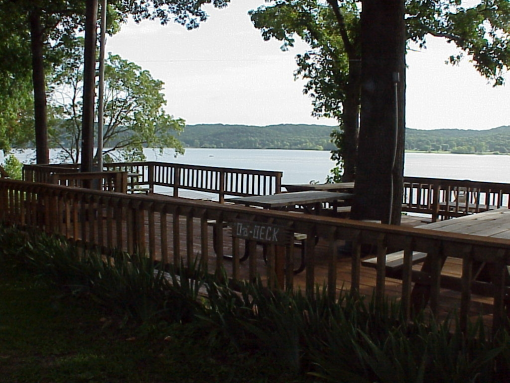 We offer deluxe cabin rental accommodations, a marina with fuel service and boat rentals including a lakefront restaurant with a breathtaking view of Grand Lake O' the Cherokees. 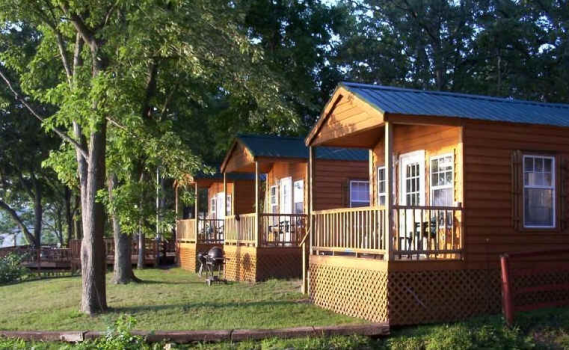 Lee's Grand Lake Resort has 25 cedar cabin rentals in all sizes from 1 bedrooms to large family lodges that comfortably sleep up to 14 people. 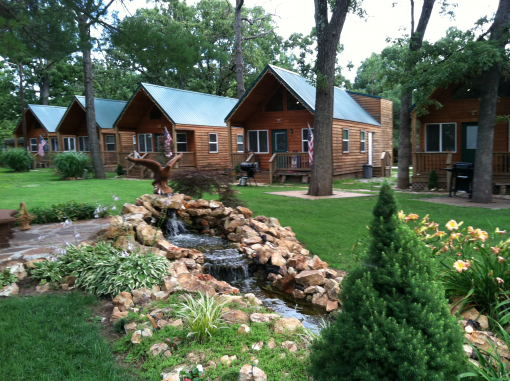 The lakefront 1 bedroom cabins and one of the lodge units have fireplaces and hot tubs. All cabins have fully equipped kitchens, full baths, TV/DVD and linens. 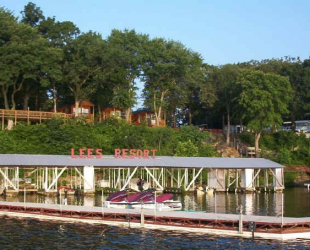 To make your stay complete, Lee's Resort also has boat rentals (pontoon, ski and bass boats) and offers cabin/boat packages that are a great value. We also have all the water toys such as: ski's, tubes, and wakeboards available. Don't feel like cooking? Try FriendLee's Snack Shack located on site with an amazing view of the lake. A full breakfast is included with your cabin rental. The best pizza and burgers in the area are also served. For the fisherman, Lee's Resort has a variety of quality gear, plus a selection of terminal tackle and lures which are proven to be very effective on Grand Lake. Bait is available both in our store and nearby. 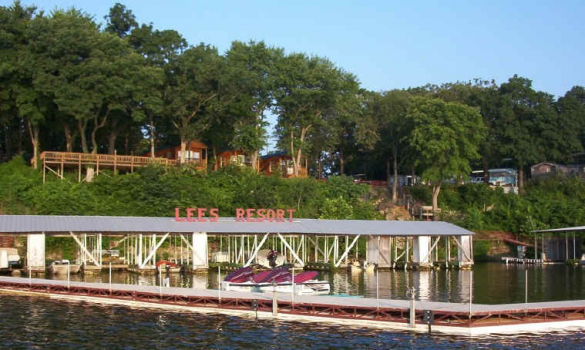 Lee's Resort also has an enclosed/heated fishing dock, two cleaning stations, and rental bass boats. 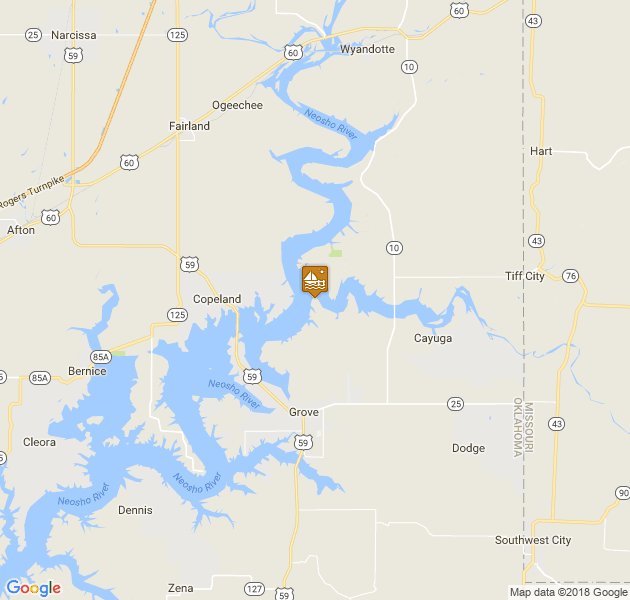 Grand Lake Oklahoma is felt to be ideal for the novice fisherman; however, Lee's Resort can connect you with local professional fishing guides if you desire. 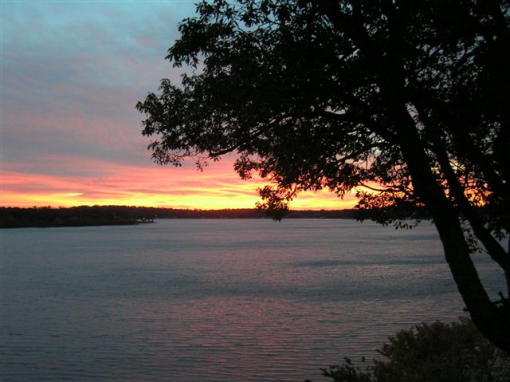 Year over year, professional fishing events take place on Grand Lake. Other amenities at Lee's Resort include a sparkling pool, well-equipped kids playground, shuffle-board, volleyball, basketball, etc. 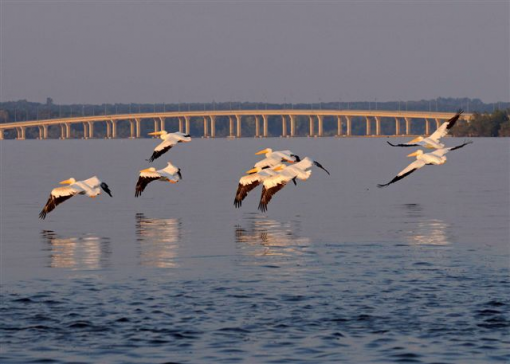 A boat launch & covered slips, community storm shelter, small convenience store and laundry facility are provided. Two gathering (group) event places are available: "The Cook Shack" and our Recreation Hall can accommodate groups of 30 to 100 people. Both have full kitchens and restroom facilities. 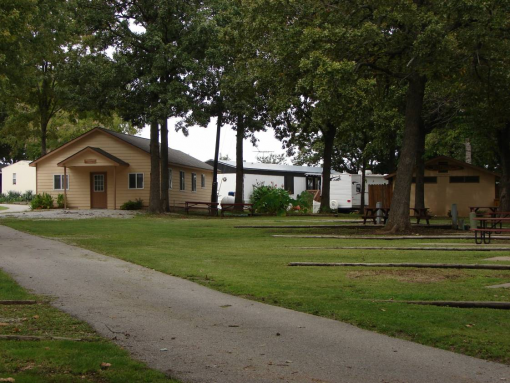 Lee's Resort is a vacation spot as well as a community. Take a stroll around our grounds and we think you'll agree. We hope you will stop by for a visit and see why our loyal customers keep coming back!